On February 19, 1864, the Knights of Pythias, founded by Justus H. Rathbone, became the very first fraternal organization to receive a charter under an Act of the United States Congress. The society is based on the Greek story of friendship from 400 B. C. between Damon and Pythias, members of a school founded by Pythagoras. According to their Website, Pythians: promote cooperation and friendship between people of good will, find happiness through service to mankind, believe that friendship is essential in life, view home life as a top priority, show an interest in public affairs, enhance their home communities, respect and honor the law of the land, and expand their influence with people of like interests and energy. 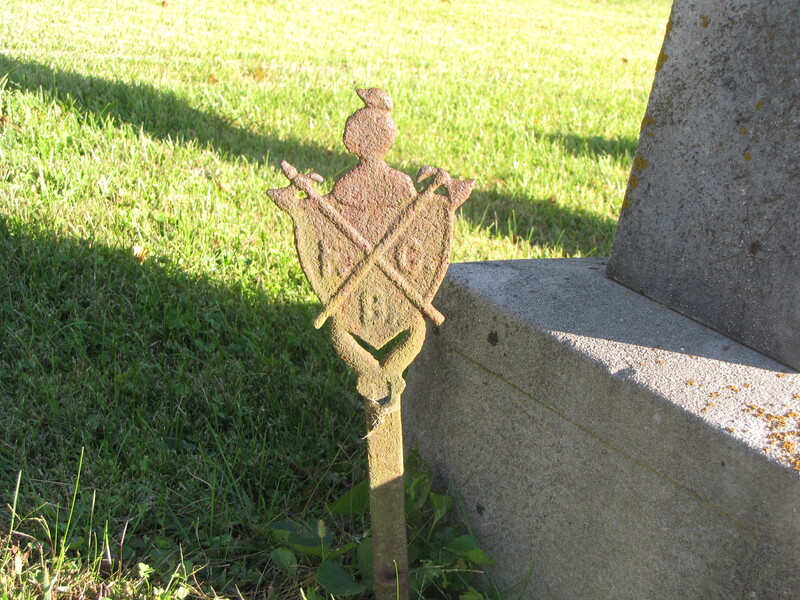 The metal marker above features many of the symbols that are significant to the Knights of Pythias. A knight’s helmet, with a falcon (a symbol of vigilance) sits atop a shield with three letters, “F”, “C”, and “B”, which stand for their motto, FRIENDSHIP, CHARITY, and BENEVOLENCE, surrounded by swords, battle axes, and a spear, representing the weapons that were used against their enemies. 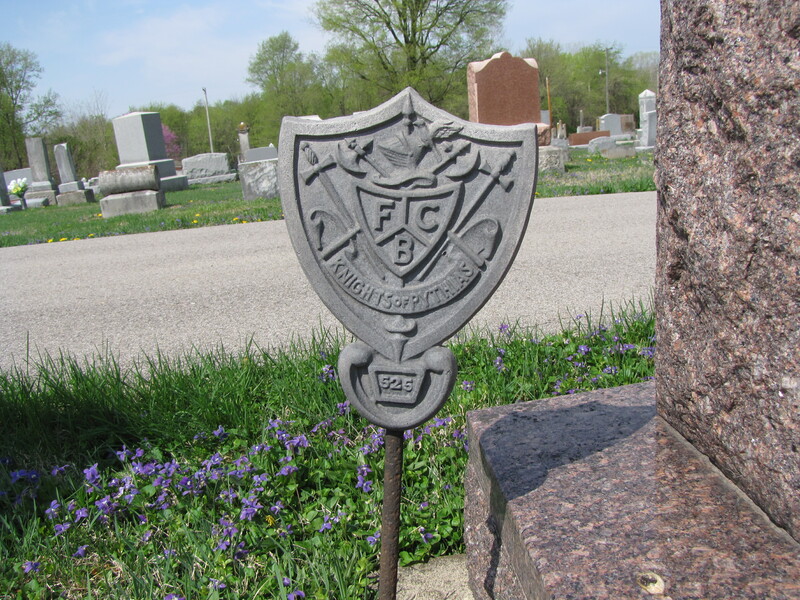 The marker below is rusted, pitted, and ravaged by weather, but several of the Knight’s symbols are displayed on a shield, still clearly visable, such as the three letters, “F”, “C”, and “B” and the crossed battle axes. The marker is also topped with a knight’s helmet. What is not clear is whether or not the helmet carries the falcon on the crest or a sprig of myrtle which symbolizes love for the Pythians. There are more than 50,000 members in over 2,000 lodges worldwide.